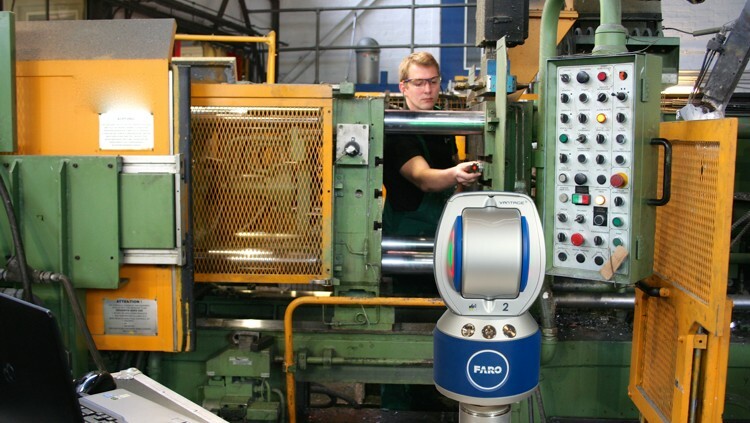 The FARO QuantumS, QuantumM and QuantumE are the first - and only - Arms in the market that can be verified against the international certification standard, ISO 10360-12:2016, which ensures maximum measurement consistency and reliability in a wide range of work environments. 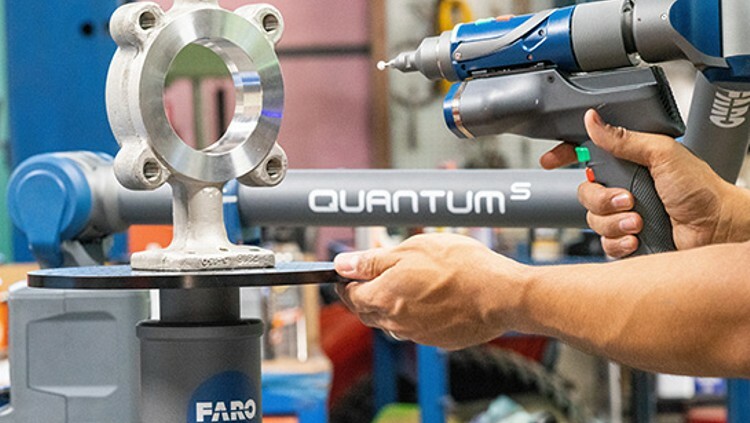 The QuantumS establishes a new industry performance bar and extends FARO’s tradition of maximum measurement consistency and reliability in every working environment. 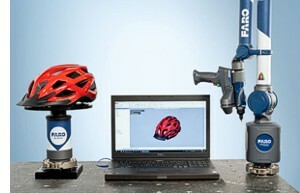 It delivers best-in-class performance for both hard probing and laser scanning applications. The QuantumM is the reference standard for companies looking for a cost-effective factory inspection solution. It has been developed for organizations that want to extend their manufacturing performance, reduce scrap and waste and improve their production efficiencies through quality inspection. 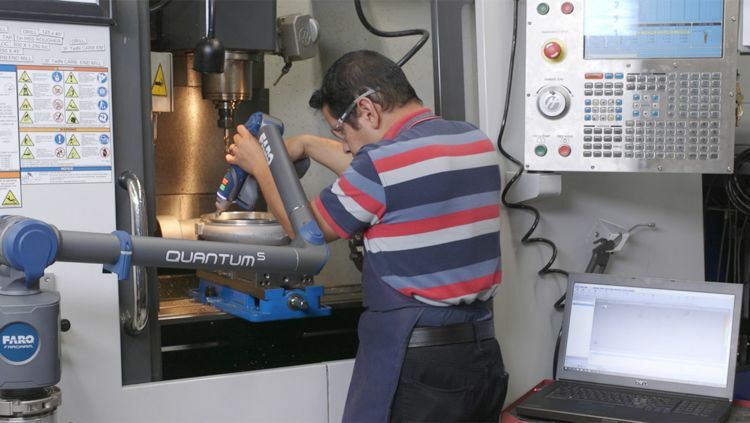 The QuantumE is the entry-level portable coordinate measurement machine for organizations looking for a cost-effective factory inspection solution. Reliable and robust, QuantumE enables manufacturers to have full confidence in their quality assurance processes and ensure high quality production. 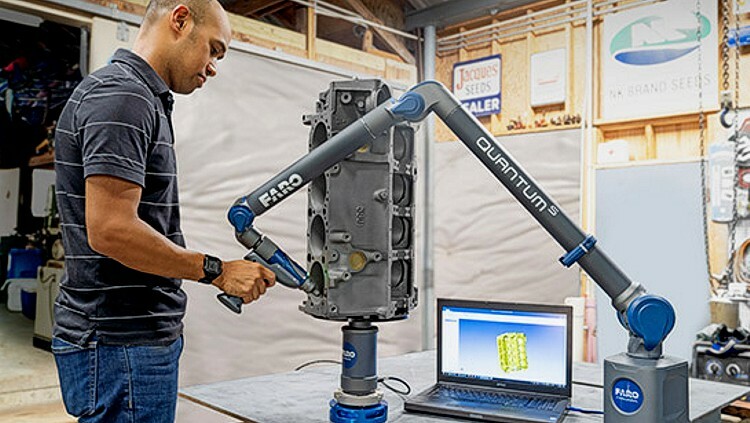 The FARO 8-Axis Quantum FaroArm, is the world’s only eight-axis portable metrology arm solution, and once again, FARO has redefined the market expectations for arm technology. 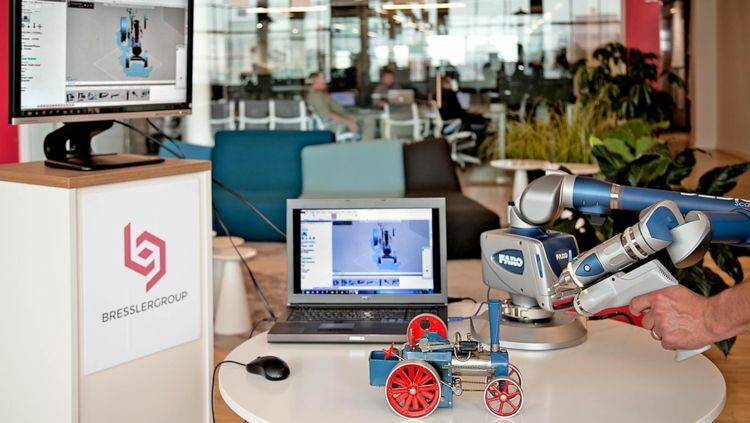 Ideal for inspection and quality control, offering capabilities such as point cloud comparison with CAD, rapid prototyping, reverse engineering, and 3D modeling of free-form surfaces. 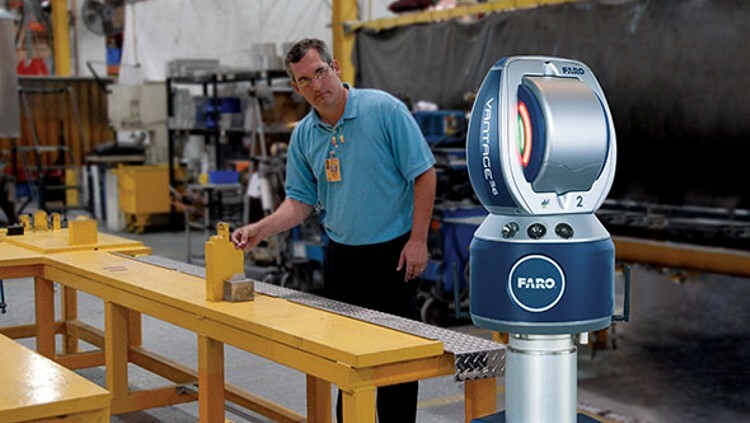 The FARO Prizm Laser Line Probe delivers high-resolution, 3D color scanning and allows users to view, inspect and manipulate detail-rich, 3D color point clouds of parts or assemblies. The Quantum combined with the Prizm Laser Line Probe provides the high fidelity required for accurate color point cloud data capture and is ideally suited for inspections where color data and visualization of surface texture are essential for analysis and documentation. Additionally, users can switch to grayscale or monochromatic modes, which provide options for higher scanning rates. 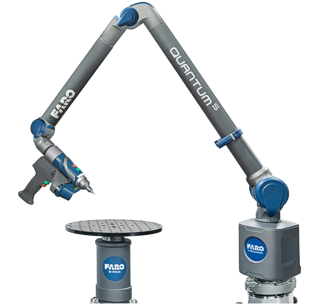 Users can pair any of the three Quantum FaroArm variations with the two FAROBlu Laser Line Probe models or the FARO Prizm Laser Line Probe, as well as select from our eight and seven-axis options. This allows users to tailor their solution to meet their specific contact/non-contact measurement requirements. 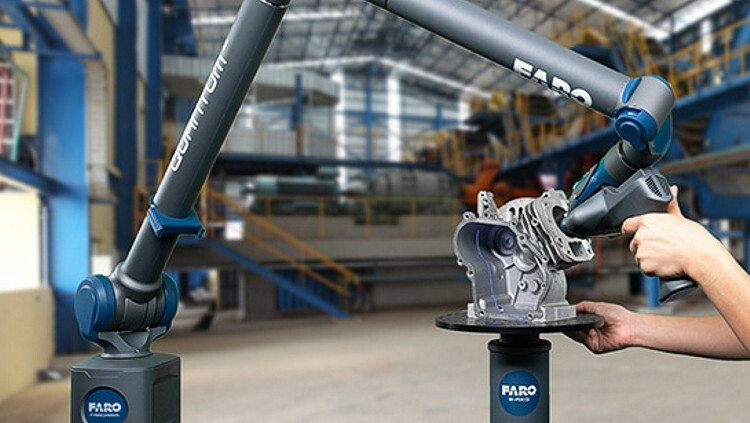 The FARO 8-Axis Design ScanArm 2.5C is the first color capable portable lightweight 3D scanning solution providing an unprecedented ergonomic experience with both the 7-Axis or 8-Axis models. 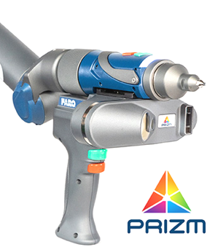 Using the new FARO PRIZM™ full color Laser Line Probe with powerful 3D design and modeling software, the 8-Axis Design ScanArm delivers high-resolution color point-cloud data enabling more insight into object design and creation, geometry, surface composition and differentiation between materials. The color information is also used in high-quality 3D visualization of rendering objects in gaming, movies and online marketing. 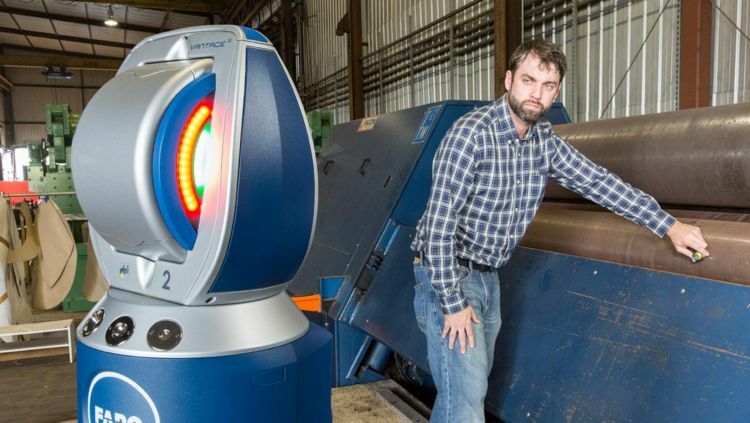 The added eighth-axis enables real-time rotation of the object being scanned – eliminating wasted time, reducing risk to delicate objects and supporting more complete scan output. 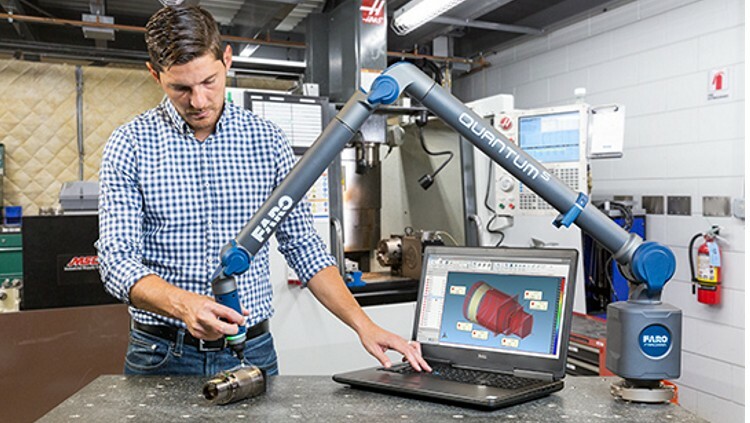 This lightweight and easily maneuverable ScanArm is available in lengths of 2.5m, 3.5m and 4.0m and seamlessly scans challenging products, objects and prototypes. The Design ScanArm 2.5C comes equipped with dual, hot swappable batteries that enable continuous operation with no need for external power when the application requires measurement in the field or shop floor. 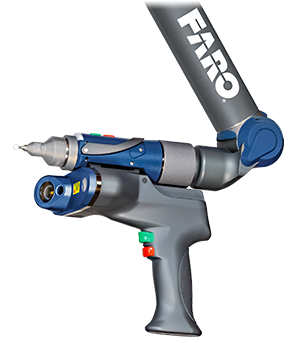 FARO kinematic iProbe’s easy connect/disconnect combined with a simplified quick release, makes the device effortless to operate regardless of skill level or 3D scanning experience.